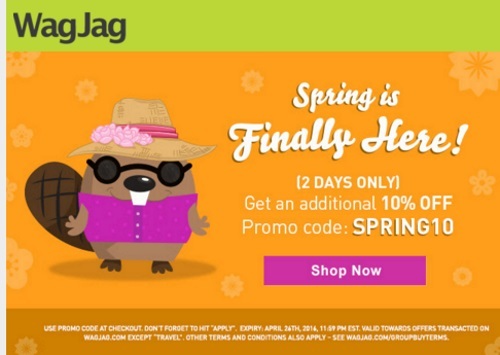 Spring is finally here and Wagjag is celebrating with a Spring Sale! Save an extra 10% off any deals on their site at the link below. Enter the promo code SPRING10 at checkout. Offer is valid until April 26, 2016. Travel on any deals except travel.